A rapidly moving wildfire forced the evacuation of about 80,000 people from a Canadian city on Tuesday and Wednesday. Photographs and video uploaded to social media show enormous columns of smoke and a wall of fire towering over the city of Fort McMurray, Alberta, as flames engulfed houses and jumped roadways. Authorities said there have been no known casualties from the blaze itself, but fatalities were reported in at least one car crash among the evacuees. Thousands bunked down in arenas, hockey rinks and oil work camps, often short of fuel and food. Stretches of the highway have been converted into make-shift campgrounds by people in cars, trucks and recreation vehicles, who are fleeing the inferno. 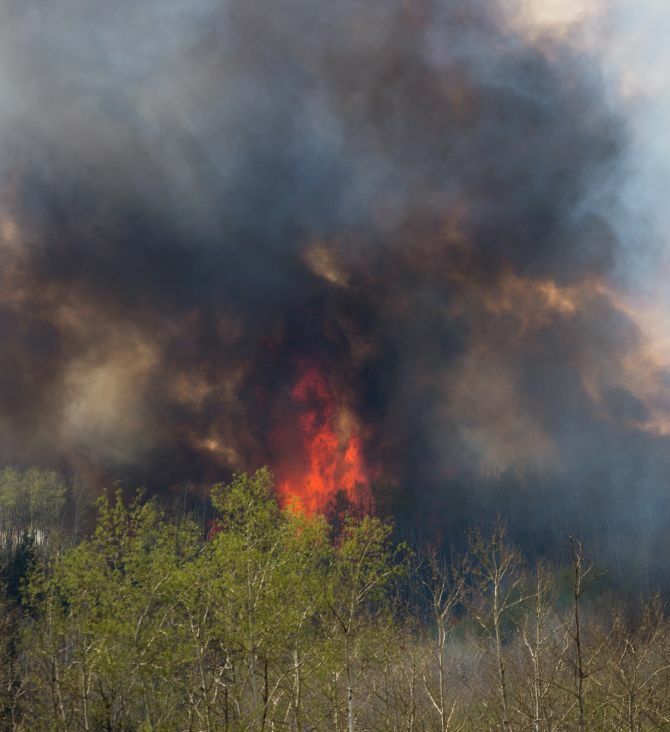 Officials in Alberta province say the blaze that has gutted some 1,600 structures is expected to rage out of control through the rest of Thursday. A state of emergency has now been declared in the province. 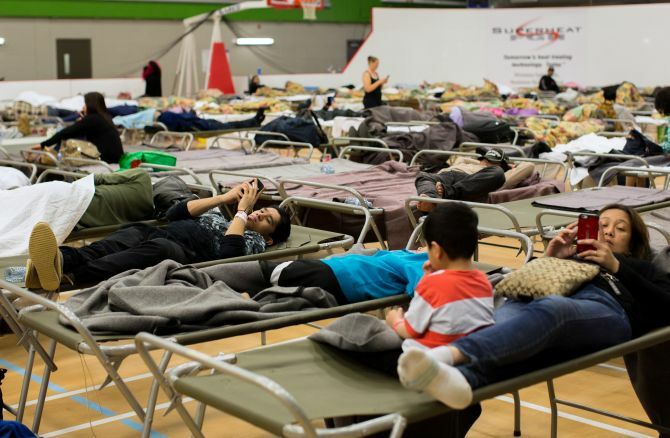 The evacuation has been the largest in Alberta’s history. Officials said the size of the blaze was now 7,500 hectares (29 sq miles) and it was being tackled by 100 firefighters. Canadian Prime Minister Justin Trudeau encouraged the whole country to help evacuees and to donate to the Red Cross. “I’ve been dealing with offers of support and calls from the Atlantic provinces, all the way out to B.C., as people are looking for how they can support their friends and neighbours as people go through this difficult time,” he said. Meanwhile, the wildfire is set to become the costliest ever Canadian natural disaster for insurers, with 1,600 buildings destroyed and another 19,000 under threat, analysts and industry sources say. The bill for insurers is expected to be several times more than the C$700 million (Rs 3,631 crore) paid out for a wildfire in Slave Lake, Alberta, in 2011. The fire in Slave Lake, a small town 250 km (155 miles)northwest of the city of Edmonton, led to the destruction of 374 homes, less than a quarter of the number of structures already destroyed at Fort McMurray, and damaged another 52. 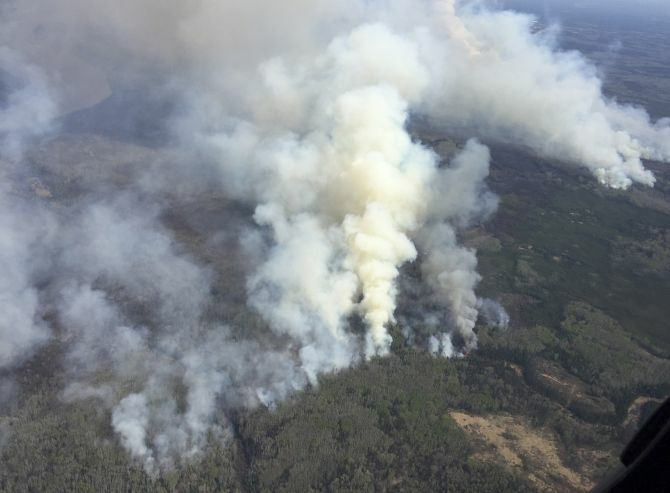 The unchecked fire, now in its fifth day on Thursday, is also likely to exceed the C$1.9 billion in losses caused by the Alberta floods of 2013, which set the record for the costliest Canadian disaster. Those losses were limited by the fact that many policies did not cover the type of flooding experienced. Did the timber mafia cause the forest fires?